I know this reply is a little late... like three years..... .but that is a Travco 35' built by Foretravel after the company bought out Travco. I have one. Mine has an 8.2 GM diesel, Allison AT540 transmission and every option you could possibly imagine. Mine also has the tag axle with air bags. The tag axle carries about 6000 pounds when aired to 35 psi. It also has air bag assist on the front axle. just one word for that rig: "sweet"
I figured Foretravel had something to do with it. I wonder how many were made and for what years? Very interesting, indeed! 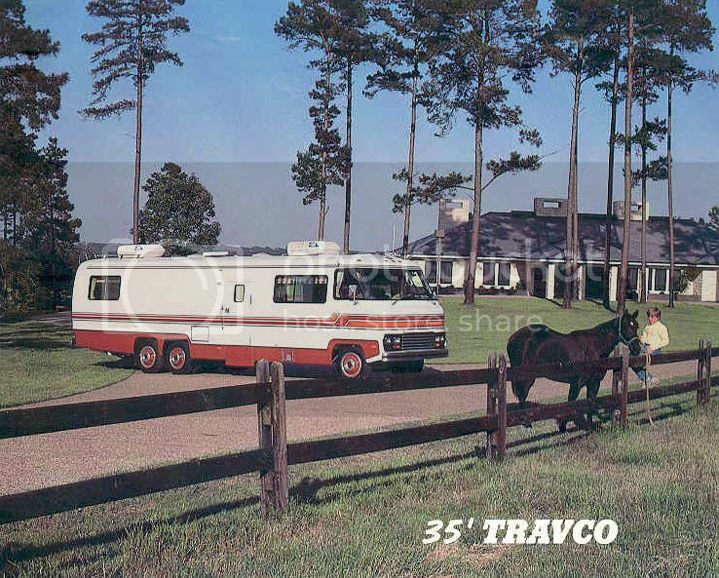 It's the elusive Travco 350.. \nAwesome looking rig.\nWhat kind of hydraulic leveling system is in it?